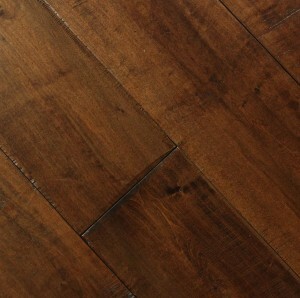 Johnson Hardwoods Carnaval Selections - Click Pic for closeup view. Johnson Premium Hardwood Flooring warrants that its products meet all established industrial quality standards specified for each product category. Residential warranty programs are non-transferable and extend ONLY to the original purchaser(s) of the Johnson Engineered prefinished hardwood floor. This program is limited to residential applications only, and does NOT apply or extend to either commercial or industrial use. Under Johnson's LIMITED RESIDENTIAL FINISH WARRANTIES, as detailed below, claims for surface wear must result from surface wear that is readily visible and cover at least one full square inch of the surface area. Gloss reduction is NOT considered surface wear. ALL WOOD IS NATURAL and, therefore, there will be variances in color and wood grain. 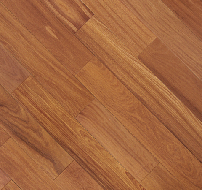 Wood flooring will naturally change in color after exposure to UV radiation and/or sunlight. These variations and color changes are NOT covered by the Limited Residential Finish Warranties, e.g. Patagonian Rosewood, Brazilian Cherry, Tigerwood and some of the other exotic woods are photosensitive and will change color. Use of floor care products other than those specially formulated for use on Johnson prefinished flooring may damage your floor and void the warranty. FOR ALL FOREVERTUFF™ EXOTIC PRODUCTS ONLY. It is mandatory that the purchaser(s) install the floor pursuant to the manufacturer's installation instructions. 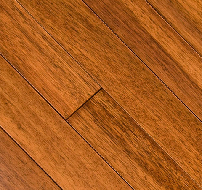 Johnson Premium Hardwood Flooring warrants, to the original purchaser, that the surface finish will NOT wear through or separate from the wood for fifty (50) years from the date of purchase, when used under normal residential traffic conditions, and as long as preventive and regular maintenance as prescribed and suggested in the National Wood Flooring Association (NWFA) Regular Maintenance guidelines is followed. 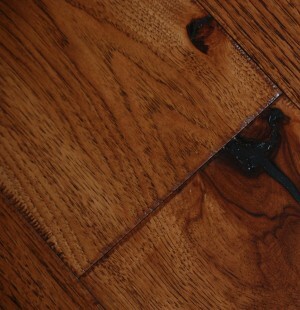 The NWFA guidelines can be found under the Wood floor maintenance section on the NWFA website at www.woodfloors.org. This finish warranty excludes any damages resulting from, caused by or contributed to, in any way, improper environmental conditions, indentations, scratches, lack of proper maintenance, use of unauthorized cleaning products, misuse, negligence, accidents, pets, spiked/high heeled shoes, shoes not under proper repair, water, wet mopping, erosion, pebbles, sand, other abrasives, surface checks/splits, and/or failure to protect the flooring material during move-in and/or other construction activities in the immediate/adjacent area. FOR ALL CARNAVAL, RENAISSANCE, METROPOLITAN, AND VILLA COLLECTIONS ONLY. It is mandatory that the purchaser(s) install the floor pursuant to the manufacturer's installation instructions. 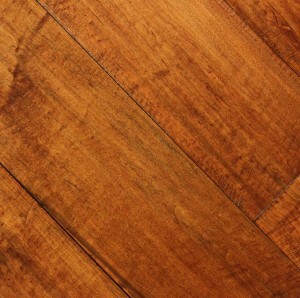 Johnson Premium Hardwood Flooring warrants, to the original purchaser, that the surface finish will NOT wear through or separate from the wood for twenty-five (25) years from the date of purchase, when used under normal residential traffic conditions, and as long as preventive and regular maintenance as prescribed in and suggested in the National Wood Flooring Association Maintenance Guidelines is followed. 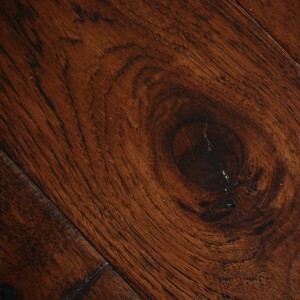 The NWFA guidelines can be found under the “Wood floor maintenance” section on the NWFA website at www.woodfloors.org. FOR ALL PRODUCTS UNDER THE RESIDENTIAL WARRANTY PROGRAM. It is mandatory that the purchaser(s) install the floor pursuant to the manufacturer's installation instructions. Johnson Premium Hardwood Flooring warrants, to the original purchaser, that its engineered pre-finished hardwood floors are free of any manufacturing defects. Manufacturing defects include, but are not limited to, the following: improper milling, grading, staining, and coating. Structural limited lifetime warranty means the hardwood flooring product will remain free from defects in lamination, assembly, milling, dimension, (see: Proper humidity conditions in installation instructions), and grading for as long as the original purchaser owns the home. It is the installer’s responsibility to inspect each board PRIOR to the installation. Planks that are NOT structurally acceptable should NOT be installed. Planks that are NOT visually/aesthetically acceptable should be put to the side and used in an acceptable location. Once a plank is installed, there is NO longer a question as to its structural or visible/aesthetic characteristics. If a plank does NOT install properly, it is NOT to be used. Although improper installation voids this warranty, Johnson Premium Hardwood Flooring reserves the right to replace planks that have cracked, split and/or delaminated due to structural defects. If more than 5% of the boards for the complete installation are unusable, return to Johnson Premium Hardwood Flooring for replacement.Damages due to improper transportation, storage, installation, extreme indoor conditions (e.g. extreme heat, dryness, and/or moisture) extreme sunlight, excessive wear and usage, or any other cause are NOT covered by this warranty. Exposure to excessive heat, dryness, or moisture, may cause damage to the flooring. It is natural, due to the inherent properties of wood, that minor contractions and expansions may occur. These occurrences, and/or visual changes of the hardwood floor, will self-correct with seasonal climate changes and/or when maintaining suggested Normal Environmental Conditions. Johnson Premium Hardwood Flooring does NOT warrant the installation of any solid or any configuration of bamboo flooring over a radiant-heated sub floor. Only Johnson’s Forever Tuff Collection has been approved for this application/installation type. Any other engineered product, besides Forever Tuff, will not be warranted if installed over Radiant Heat. Please carefully review and understand this information completely prior to starting. Improper installation and handling can/will void any/all applicable warranties. 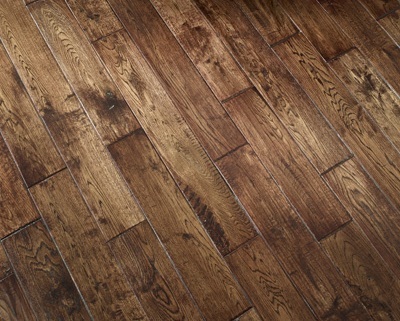 Hardwood flooring is a beautiful product of nature, which is characterized by distinctive variations in grain and color. These variations in color and grain should not be seen as flaws, but embraced as nature showcases its beauty and uniqueness. Johnson Premium Hardwood Floorings are manufactured according to accepted industry standards, which permit a defect tolerance of 5%. Product Quality: The installer/contractor assumes all responsibility for final inspection of product quality. The flooring MUST be inspected at time of delivery and prior to installation. Carefully examine the flooring for moisture content (6 to 9%), color, grade, finish quality or any damage during transit before installing it. The installer should use reasonable selectivity to cull out or cut off unacceptable pieces. If the flooring material is considered unacceptable, “STOP DO NOT INSTALL THE FLOOR”, please contact the Johnson Premium Hardwood dealer immediately. Once the flooring is installed, there is no question as to its acceptability. Environment: Prior to installation, the installer MUST determine that the environment of the job site and the conditions are suitable to the material that is being installed. The installer is responsible for determining the moisture emission rate of the concrete slab and/ or the moisture content of the CDX plywood or better sub floor as per the National Wood Flooring Association (NWFA) installation guidelines, SECTION V – Appendix AA Moisture Testing Procedures for Concrete Slabs, (specifically the Calcium Chloride test) and Appendix AB Moisture Testing for Wood. All test results MUST be carefully documented and made available to the home owner prior to installing the flooring. 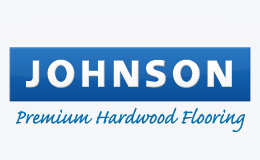 Johnson Premium Hardwood declines any responsibility for job failure from or associated with inappropriately or improperly prepared subfloors or job site environment deficiencies. Also, Johnson “HIGHLY” recommends that the installer/contractor take daily readings of the ambient conditions of the environment in which the flooring will be installed i.e. temperature and relative humidity levels and record the results on a daily log sheet as well as take periodic moisture readings of the wood floor during the installation process and record the results of those readings as well. Waiver: Unless a waiver or letter of protest listing exceptions exists, installation constitutes acceptance of subfloor/substrate, the job itself – including the ambient temperature and relative humidity at the time of installation, and all impacting variables that may affect a wood floor. Informing the Homeowner: Homeowner MUST be made aware of color variations, graining ranges, the effect that moisture has on wood flooring, the importance of maintaining a controlled environment (60 to 80f and 35 to 50rh respectfully) before, during and after the installation of wood flooring, the proper way in which to maintain wood floors and the effect that UV light has on wood flooring, especially exotic woods. 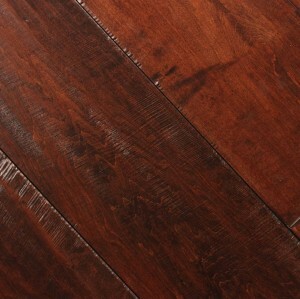 All products from Johnson Premium Hardwood will change color over time. The degree of change depends on the species and the amount of UV exposure. Typically speaking, wood usually darkens over time however some wood species will actually lighten when exposed to UV light. Delivery/ Storage: NEVER deliver wood flooring during adverse weather conditions such as rain and or snow unless the flooring can be completely and thoroughly protected from getting wet and or gaining moisture during transit to the job-site. NEVER store wood flooring in an “uncontrolled environment” e.g. patios, drive ways, garages, sheds, storage units, or even in the structure in which the flooring will be installed. Deliver the flooring to the job-site ONLY when a controlled environment has been established according to Johnson/NWFA recommendations. JOB SITE INSPECTION AND PRE-INSTALLATION REQUIREMENTS Moisture: Job site must be dry with no visible moisture. To ensure the job site is ready for hardwood flooring, installer MUST conduct necessary moisture tests with approved Calibrated Moisture Meters. All testing results MUST be carefully recorded and made available to the homeowner before any work begins. Job-Site Evaluation: Contractor/installer MUST perform a pre-installation job site evaluation. The contractor/installer should ask the following: Does the lot/structure sit on an alluvial plain? If so is water run off directed away from the side of the building? Does the roof gutter system direct water to a main drainage system that carries water away from the side of the building? Is there adequate drainage around all landscape and hardscape to carry water away from the side of the building? Also, check the surrounding concrete walkways and driveways for signs of efflorescence and alga growth. Check surrounding planters for over watering as well as make sure sprinklers are directing water spray away from the side of the building. HVAC System: As recommended by the NWFA as well as Johnson Premium Hardwood, the installation site should have consistent room temperature of 60 to 80 degrees Fahrenheit and a constant relative humidity level of 35 to 50 percent respectively. The structure MUST be fully enclosed with interior climate control operating for at least 5 days before, during and after installation. If heating/air-conditioning/humidification systems are in operating condition, they need to be operating. If it is not possible for the permanent heating/air-conditioning/humidification systems to be operating before, during and after installation, a temporary heating/airconditioning/ humidification system that mimics “manufacturer” specified temperature and humidity conditions can enable the installation to proceed until a permanent heating/airconditioning/ humidification system is operating. The sub floor MUST be free from any type of paint, oil, grease, dust, drywall mud, sealers, release agents and all other types of residues/contaminates. Flatness of Floor: The flatness tolerance 3/16” over 10 foot radius MUST be maintained throughout the installation. Also check/fix any/all loose or damaged subflooring as well as any/all areas that exhibit squeaking sounds. It is “HIGHLY” recommended to cover the soil within the crawl space with “black” 6-mil polyethylene sheeting overlapping the seams a minimum of 12” and completely tape the seams together using Duct Tape. Make sure to run the poly sheeting up the stem wall 4” to 6” but DO NOT tape, this will allow for “controlled” evacuation of gaseous water vapors into the crawl space atmosphere which in turn should be carried out through the venting system. Per industry standards in order to foster proper air flow there MUST be 1 ½ vents for every 100 sq. ft of crawl space area. The distance between the surface of the soil and the bottom of the subfloor should have a clearance of 18 to 24 inches. It is the installerʼs responsibility to determine (prior to installing the flooring) that the perimeter of the crawl space contains the correct amount of vents for the size of the crawl space and that no vents have been blocked i.e. masonry or concrete patios. Local-building codes may differ. Follow local building codes. See Figure 1-1. It is not uncommon to have as much as 14 to 17 gallons of water emit from the soil within the crawl space in a 24-hour period over 1000 sq. ft. Moisture related failures “directly” caused by high amounts of moisture coming from within the crawl space as a result of not covering the crawl space soil will not be warranted by Johnson Premium Hardwood Flooring. Undercut Door Casings and Jambs: Undercut all door casings and jambs 1/16” higher than the thickness of the “finished” flooring being installed. You can achieve this by using a hand jamb saw using a piece of the flooring as your height gage or use an adjustable power jamb saw adjusted at the appropriate height. Guideline Disclaimer: COMPLETELY READ AND UNDERSTAND THESE GUIDELINES BEFORE INSTALLATION BEGINS. FAILURE TO DO SO CAN/WILL RESULT IN THE FOLLOWING DAMAGE TO YOUR WOOD FLOOR: CUPPING, WARPING, TWISTING, BUCKLING, SHRINKING, DELAM, GAPPING, CHECKING, CRACKING, SPLITTING, DISCOLORING, EARLY WEAR, HOLLOWS, AND RELEASING FROM THE SUBFLOOR. FAILURE TO ABIDE BY THESE GUIDELINES CAN/WILL VOID ANY/ALL WARRANTIES JOHNSON OFFERS WITH THIS PRODUCT. 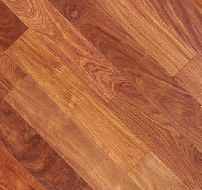 In newly constructed buildings, hardwood flooring should be one of the last items installed. All work involving water or moisture MUST be completed prior to the delivering of wood flooring to the job site. Also, all doors and windows must be installed. HVAC System: NEVER turn off the Heating Ventilation Air-conditioning or humidification(HVAC) system when youʼre away from your home/building i.e. during vacation time periods. If you do, you may return to see a floor that is cupped, or has a severe case of shrinking/gapping, splitting, checking and/or wear layer delam. During routine maintenance, DO NOT clean your floor surface with oil soaps, sprays of any kind which usually contain silicone oil or wax, water, Windex and water, vinegar and water, waxes of any kind, conditioners, surface refreshers, solvents of any kind, non recommended flooring cleaners such as, Swiffer Wet Jet or any other like cleaning product. Only use cleaning products that are specifically recommended and or approved by Johnson Hardwood i.e. Bruce Armstrong hardwood/laminate cleaner, Mannington hardwood/laminate cleaner, Basic Coatings “Squeaky” Clean hardwood/laminate cleaner and Bona hardwood/laminate cleaner. For more information on how to properly maintain your Johnson wood floor, please see our maintenance guideline on our web-site www.jfloor.com and go to the customer support section. Place protective glides on the bottom of all chairs and furniture legs; they come in a variety of sizes and shapes and can be purchased at your local home improvement center. For your really large furniture such as China cabinets and hutches etc., you will definitely need to use protective glide pads that are designed to cover a larger area so as to better protect the flooring from scratches. For pianos use manufactured piano coasters. Radiant Heat: For installations over radiant heated sub-floors, ONLY Johnsonʼs Forever Tuff has been approved for this application/installation type. None of the other Johnson products both solid and engineered can be installed over radiant heated sub-floors. To do so WILL void any/all applicable warranties. If the moisture emission rate exceeds 3 lbs at the time of testing/installation then a manufacturer approved vapor retarding system MUST be applied to the slabs surface prior to commencing with the installation. Failure to do so can/will void all applicable warranties. Johnson engineered wood floors do not require pre-installation acclimation for “any” specified period of time. However, the environment MUST represent “normal live-in conditions,” which is interpreted to mean an environment maintained at 35 to 50 percent relative humidity and a temperature of 60 to 80 degrees Fahrenheit respectively. These conditions MUST have been established at least 5-days prior to delivering the flooring to the job-site and continue for the life of the floor. ALL doors and windows MUST be installed prior to delivering the flooring to the job-site. 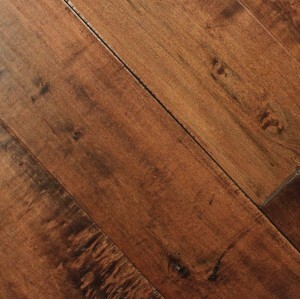 Informing the Homeowner: The dealer and installer/contractor is responsible for informing the builder and the homeowner of the importance of maintaining a controlled environment before, during and after the installation of wood flooring in order to maintain the physical and structural condition of their wood floors. Box Rule (3-5): When installing Johnson Premium Hardwood Flooring it is recommended to work out of 3 to 5 boxes at a time in order to achieve a more uniform color tone and grain appearance. Where wood floor transitions into support moldings i.e. nosingʼs, reducers etc., pick boards that better blend to the color tone of the molding so that you donʼt end-up with a drastic change in color. Your goal is to gradually transition into the molding so as not to have a distinct color variance between the wood floor and the trim moldings. 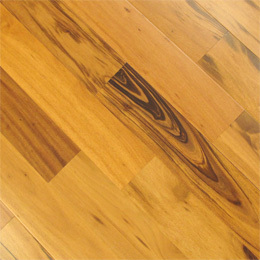 Inspect Wood: Verify that the delivered wood flooring has 6 to 9% moisture content and is free of defects. Atmospheric conditions MUST be maintained within the recommended range in order to maintain optimal dimensional performance of your wood floor. To determine the suitable moisture content for installation, please use the equilibrium moisture chart provided below. 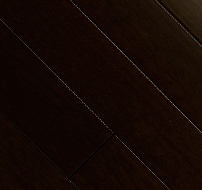 Grayed area represents the ideal moisture content for the wood to perform normally. Moisture tests MUST be completed before, during and after the flooring has been installed. 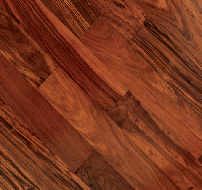 Additional information can be found in the National Wood Flooring Associationʼs Technical Publication No. A100 Water and Wood. “How Moisture Affects Wood”. Wet Work: All wet work such as plastering, painting and any/all masonry or tile work MUST be completed prior to delivering the wood to the job-site. Laboratory, U.S. Department of Agriculture. 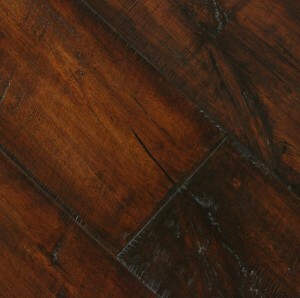 Please refer to the National Wood Flooring Associationʼs Technical Publication N0. A300 Tools Of The Trade. 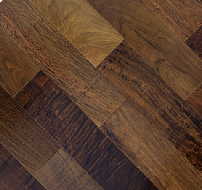 “What Contractors Need for Hardwood Flooring Installation”. 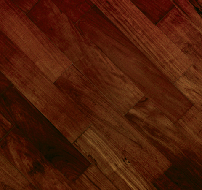 Below you will find a partial list of tools commonly used for wood flooring installations. Trash Bags, Nails, Cleats and Staples, Chalk Line, Hammers, Utility Knife, Tape Measure, Extension Cord, Vacuum/Broom, 3-M Blue Tape. The concrete sub floor must be dry. The concrete slab will usually take from 90 to 150 days to thoroughly dry depending upon the size and thickness of the slab, as well as weather conditions. Note: Before moisture testing begins the concrete drying period MUST be a minimum of 30 days old. If moisture testing begins before the minimum 30 day drying period the test results will more than likely be inaccurate and unreliable. Per the National Wood Flooring Associations recommendation, the generally allowable “maximum” amount of moisture emission, as expressed by the calcium chloride test, is 3.0 pounds per 1,000 sq. 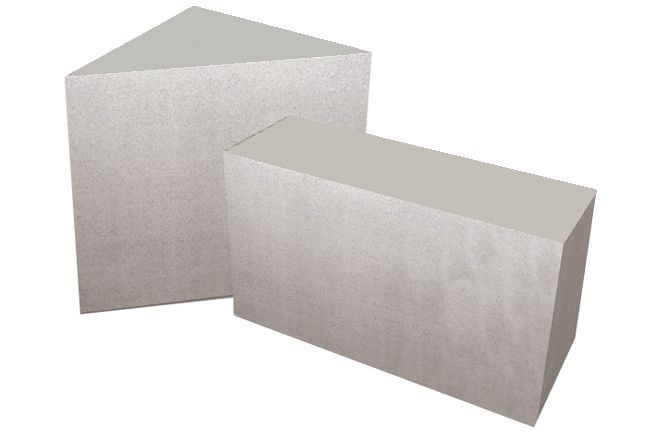 ft of concrete surface per every 24 hours prior to, during and after for a direct installation without the use of a manufacturer approved vapor retarding system. Please follow ASTM standard F-1869- 4 which is the specific preparation/application instructions for calcium chloride testing. R.H Testing: A method used to determine the relative humidity level within the confines of the concrete slab is known as RH testing or relative humidity testing following ASTM standard F-2170-2 as well as F-710. Johnson Premium Hardwood recommends the Wagner Rapid RH meter and system for determining RH levels in the slab, prior to commencing with the installation of flooring. The maximum allowable RH level CANNOT exceed 65% before, during and after installation without the use of a vapor retarding system. Let it be known that Johnson Premium Hardwood still “HIGHLY” recommends the use of a vapor retarding system no mater what the RH test reveals. When mechanically fastening an industry/manufacturer approved sub floor (5/8”CDX plywood or better) to the surface of a concrete slab (which results in perforating the moisture vapor retarding system), the maximum allowable moisture emission rate cannot exceed 7 pounds per 1,000 sq. ft. per 24 hours based on the calcium chloride test. Glue Down: For glue down applications the subfloor MUST be free from any/all type of paint, oil, greases, drywall mud/dust, release agents, and all other types of residues/contaminates. Level Floor: The subfloor should be level in general however it MUST be flat to within 3/16” over a 10 foot radius, in any/all directions. When using a self leveling or patch type product to correct for floor flatness issues. ALWAYS consult with the chosen adhesive manufacture for recommendations as to what self leveling/patching material is compatible with their specific adhesive product. If plywood is used as a subfloor, the moisture content difference MUST NOT exceed more than 4% between the engineered floor and the plywood subfloor. All plywood MUST be exterior grade CDX or better. Plywood size for subfloor is suggested to be standard ¾” x 4ʼ x 8ʼ panels, with an expansion gap of ¼” between panels, and stagger full sheets by ½. Cross kerf the back of each panel every 1ʼ x 3/8” deep. Plywood subfloor should run at a 45 degree angle (preferred) or perpendicular to the direction of the finished wood floor. Before installing over terrazzo or vinyl type surfaces, first consult with the adhesive manufacturer. They will be able to provide you with specific information regarding the necessary steps that are required in order to properly prepare the surface for installation. Vapor Protection Systems/ Adhesives: Johnson Premium Hardwood recognizes the following adhesives (for glue down applications) and their corresponding vapor retarding system(s) to be used in conjunction with the installation of Johnson prefinished, engineered flooring: Johnson urethane base adhesive along with 531 two part epoxy or MVP, Franklin 811 Advantage along with 531 two part epoxy sealer, Bostikʼs Best or BST along MVP, DriTac 7600 along with 7000 epoxy sealer. For installations over lightweight concrete slabs consult with the adhesive manufacturer prior to beginning installation. Always follow the adhesive manufacturerʼs recommendations for proper use and application. WARNING: IT IS THE INSTALLER/CONTRACTORS RESPONSIBILITY TO DETERMINE THE SLAB TYPE, I.E. POST TENSION. IF IT IS, USE EXTREME CAUTION WHEN USING PENETRATING FASTENS TO SECURE THE SUB FLOOR TO THE SLAB SO A FASTENER IS NOT DRIVEN INTO A CABLE. THE CONSEQUENCES COULD BE QUITE DESTRUCTIVE, RESULTING IN DAMAGE TO THE SLAB AND OR STRUCTURE AND QUITE POSSIBLY, EVEN BODILY INJURY!!! Method #1: (1) Using a 1/8” v-notch trowel apply a skim coat of Cold Stick tar i.e. Cold Stick P-84 by Pure Asphalt Co., or equivalent over the surface of the concrete slab in sections; (2) apply a layer of 6-mil polyethylene sheeting over the tar making sure to over-lap seams a minimum of 12 inches; (3) duct taping seams together as you go; (4) apply 1-layer of 15 lb tar saturated felt paper over the surface of the poly sheeting making sure to over-lap the seams of the 15 lb felt paper by a minimum of 4 to 6 inches; (5) Duct taping the seams together as you go. Method #2: (1) Seal the surface of the slab using a manufacturer approved 2-part epoxy sealer and let dry overnight or according to the recommendations of the sealer manufacturer; (2) using a 3/16” v-notch trowel apply a coat of Cold Stick P-84 tar by Pure Asphalt Co., or equivalent over the epoxy sealer in rows 4” wider then the width of the 15 lb tar saturated felt paper, this is to ensure that the slabs surface is completely covered with tar; (3) roll out the felt paper into the freshly applied tar making sure that the felt paper is cut net to all vertical obstructions; (4) spread out another row of tar making sure to over-lap the edge of the tar paper with tar, 4 to 6 inches so that when you over-lap the next row of paper by 4 to 6 inches you will essentially be gluing them together; (5) repeat this process until you have completely covered the slabs surface with tar and felt paper; (6) then repeat the entire process applying tar and felt paper over the first layer of tar and paper, however this time the starting row of the second layer will need to be offset by half until you have covered the first layer of tar and paper completely. Make sure to go back to the initial starting row on layer #2 and cover the missing row with tar and paper remembering not to forget to coat and over-lap the seam. Using a minimum thickness of 5/8” CDX or better plywood kerf the back of the panel to a depth of half its thickness 1-foot apart. This will help in taking the tension out of the panel. Then cut the plywood panels so that you cover all areas of installation, allowing for a ¼” gap along all edges of the panels, and ¾” around all vertical obstructions, as well as the perimeter of the room. You are now ready to secure/fasten the panels to the substrate using concrete screws, powder or pneumatically driven concrete pins/fasteners 1 ¼” to 1 ½” long. The recommended fastening schedule is 1-pin per sq. ft. which equates to 32-pins per 4ʼ x 8ʼ panel spaced out equally throughout the panel with the perimeter pins positioned 1” to 1 ½” inches from the edges of the panel. After determining that the moisture emission rate (based on the calcium chloride test) does not exceed 7 lbs in 24 hours over 1,000 sq. ft. of surface area, you are now ready to begin building your system. (1) Construct a vapor retarding system using either method #1 or #2; (2) attach 2-sheets of 3/8” cdx plywood together (cross directional or at a 45° angle to one another) using construction adhesive (non water base), leaving a ¼” gap between all seams, applied in a serpentine pattern 4 to 6 inches apart; (3) screw the panels together spacing every 6 to 8 inches around the perimeter and 10 to 12 inches in the field. Make sure the screws do not extend through the bottom of the second sheet of plywood, by doing so could compromise the effectiveness of the vapor retarding system, which could result in a moisture related distress failure. Glue-down Subfloor: Always follow the adhesive manufacturerʼs recommendation for proper application, proper adhesive and correct trowel notch configuration and spread rate. Control Environment: Meter the moisture content level of the flooring again and make sure it has stabilized with the surrounding controlled environment based on 35 to 50 percent relative humidity and 60 to 80 Fahrenheit. An uncontrolled environment can lead to the following conditions: Shrinkage/gapping, cupping, warping, twisting, buckling, checking, splitting and even wear-layer delamination. 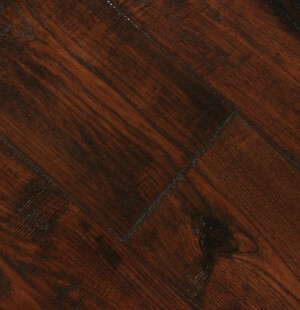 Johnson Premium Hardwood will not warrant any damages caused by moisture/atmospheric related causes. Box Rule (3-5): Before beginning the actual installation, provide proper layout of flooring by working out of multiple boxes of material (3 to 5) is recommended in order to achieve a more uniform color tone, and grain appearance through out the installation. Expansion Space: Allow at least (1/2”minimum) of expansion space at all wall and vertical obstructions. Expansion space will be concealed using baseboard and quarter round trim. Wood flooring will change in size according to changes in the ambient conditions of the structure i.e. temperature and relative humidity levels. Insufficient expansion space can result in cupping, buckling, cracking and checking in the flooring. 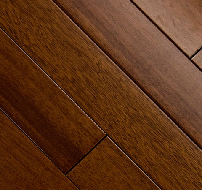 Johnson Premium Hardwood will not warrant any damages caused by improper installation. For installations over lightweight concrete slabs always consult with the adhesive manufacturer prior to beginning installation. They will be able to offer instruction on how to properly prep the surface of the substrate to avoid a potential debonding failure. Always follow the adhesive manufacturerʼs recommendations for proper use. Snap a working line parallel to the starting wall, in multiples of our engineered plank width, plus an expansion space of ¾” preferably, ½” minimum to set up the base baseline of installation. Be careful to assure you do NOT end up with a width of less than 2 inches at the final opposing wall. If so, adjust by ripping down the width of the first row. Follow the adhesive manufacturerʼs guidelines for determining the correct trowel configuration, spread rate and cure time for the adhesive being used. The adhesive manufacturer will have detailed information outlining the correct method of application and clean-up. 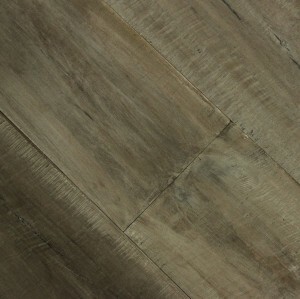 It is imperative that the installer follows any/all recommendations made by both Johnson Premium Hardwood, as well as the adhesive manufacturer with regards to testing the moisture emission rate of the concrete slab according to ASTM F-1869-4 prior to commencing with the installation. Follow the adhesive manufacturerʼs recommendation in regards to the proper way to seat the flooring into the adhesive during the installation process. Consult with the adhesive manufacturer on how to best remove adhesive from the surface of the floor. Backer Board: Install a backer board along your initial starting line, this will provide needed support for the first 3 to 4 feet of flooring installation. Backer boards are typically made from ½” to ¾” (MDF) Medium Density Fiber Board cut into pieces 4 or 5 inch wide by 8-feet long. Secure the backer board to the sub floor using the appropriate length fasteners (deck screws for raised foundation applications and Tap Con screws for applications over concrete slabs) being careful not to exceed the thickness of the raised foundation sub floor. After securing the backer board to the starting line spread out the recommended amount of adhesive (per the adhesive manufacturerʼs recommendation) to the sub floor surface and then place your starting row boards into the adhesive one at a time, tongue facing the backer board making sure to seat the board into the adhesive according to the adhesive manufacturerʼs specifications. Continue to install each row of flooring off setting the end joints a minimum of 6 to 8 inches. Also, when installing the individual boards place the tongue into grove, this method of installation will help to prevent glue from being scooped up into the grove resulting in glue squeeze out between the board(s) seams and a lot of unnecessary work removing glue from the surface of the floor. 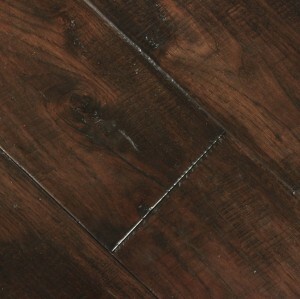 Foot Traffic: Limit foot traffic on the newly installed wood flooring according to the adhesive manufacturerʼs recommendations as to how soon the floor can be “safely” walked upon after completing the installation process so as not to cause any shifting of joints, or adhesive bond release between the subfloor and the wood floor. Be sure not to over drive the fastener past the nail slot, this can lead to a condition known as a telegraphing fastener. A telegraphing fasten is the visible effect of excessive pressure being placed on the wood fibers which causes the appearance of a little bump to occur just above the fasteners. This condition becomes most apparent when natural or artificial light reflects across the surface of the floor causing the bump to become visible to the eye. This condition can sometimes be difficult to see, so make sure to thoroughly examine the first few rows of flooring to make certain telegraphing does not exist. Johnson Premium Hardwood Flooring does not warrant against this condition since telegraphing fasteners are not manufacturing related. If you should encounter this condition immediately stop the installation and contact Johnsonʼs Technical Department and or the manufacturer of the nailer for technical advice. It is essential that the flooring installer make sure that the nailer/stapler is properly adjusted for the particular floor that is being installed i.e. the fastener(s) MUST enter the nail slot at the correct angle and height, do not over-drive the fastener(s) so as not to cause damage to the board e.g. telegraphing fasteners, broken or split tongues, peaking, squeaking, or crackling noises to occur. For nail down installations the tongue should be facing away from the backer board, the board is then secured to the sub floor by means of either using a ¼” 18 gage staple, or preferably the 20 gage E-cleat manufactured by Power Nail Co., the corresponding nailers for the E-cleat is the model 200 (manually driven), or the 250 model which is pneumatic driven. Be vigilant for any signs of Telegraphing Fastening for the reasons previously stated. Fastener Length: When installing “engineered” wood flooring, make sure the fastener length is a 1 ¼” to 1 ½” long for installations over ¾” sub floors attached to the surface of a concrete slab. However, for installation over raised foundations the fastener must be 1 ½” long. Fastener Schedule: Typical fastening schedule when using staples is 3 to 4 inches and 4 to 6 inches when using cleats and regardless of the fastener used 1 to 2 inches from the end joints. Failure to follow required fastening schedule can result in squeaky board/floor syndrome. Johnson Premium Hardwood requires the use of a manufacturer approved vapor retarding system be applied over the surface of the wood sub floor or concrete slab prior to installing the floor when using the floating floor system. • Place a layer of 6-mil polyethylene sheeting over the entire slabs surface overlapping the seams by 10 to 12 inches. Make sure that the entire lengths of the overlapped seams are completely duct tapped together and the sheeting is flat and wrinkle free, followed by 1/8” foam padding or 6-mil/1/4” cork aligning, but also staggering the seams and duct tape together. Or seal the concrete slab using one of the recommended topical sealers such as Franklin Titebond 531 or Dri Tac MCS 7000 followed by a 2 in 1 foam/vapor retarding system or 6-mil/1/4” cork aligning, but also staggering the seams and duct tape together. • For installations over wood sub floors, place a layer of 30-30-30 single layer asphalt laminated paper meeting UU-B-790a, Grade B, Type I, Style la or a single layer of 15 lb tar saturated felt paper over the surface of the sub floor overlapping the seams 4 to 6 inches and staple in place followed by foam or 6-mil/1/4” cork aligning, but staggering the seams and duct tape together. Disclaimer: Upon completion of the installation of a random length engineered wood floor, the floors surface may not appear as continuously flat as compared to a traditional long strip floating floor. Hollow sound should be expected since the flooring is not secured to the subfloor by means of chemical fastening (gluing) or by mechanical fastening (staples, cleats or nails). Hollow sound is NOT a defect caused by manufacturing, but rather the result of the way in which the floor is put together. Caution: it is considered acceptable when floating Johnson Premium engineered flooring to expect an over-wood/under-wood condition in accordance to acceptable industry standards. Some vertical movement between planks could also occur over time. The heat source is directly beneath the flooring, so the flooring may dry out faster than a similar floor in a home with a conventional heating system. Forever Tuff (ONLY) can be installed over radiant heat as long as you understand radiant heat and how it can impact wood flooring, what precautions to take, and what type of wood flooring to use. Failure to follow the guidelines may/can produce unsatisfactory results. Slab Dry Time: The slab will usually take 90 to 150 days to thoroughly dry depending on the thickness of the slab. Before installation can begin, the contractor/installer MUST determine that the moisture content/moisture emission rate (based on the particular subfloor type) does not exceed the maximum allowed according to the specific requirements spelled out in these guidelines. Information can be found under SECTION: Subfloor Requirements and Preparation. Document ALL test results and provide test results to the homeowner before any work begins. Flatness of Floor: Subfloor MUST be flat within 3/16” in 10ʼ or 1/8” in 6ʼ in any direction. Methods of Installation: Wood floors can be installed by floating, glue-down or by mechanical fastener i.e. staple or cleat. NOTE: If the chosen method of installation is by gluing; check with the adhesive manufacturer for detailed instruction for the proper method(s) of application/preparation before any work begins. NOTE: Only moisture cure urethane base adhesives can be used for this application. Water base/acrylic adhesive CANNOT be used. Temperature Requirements: Make certain the temperature of the installed wood floor does not exceed 80 degrees Fahrenheit and that the temperature within the atmosphere is maintained between 67-72 degrees Fahrenheit and the relative humidity is maintained between 35-50 percent. It is critical that the relative humidity does not drop below 35%, otherwise you may experience the following condition(s) with your floor: gapping/shrinking, checking, cracking, splitting, warping, bowing and wear-layer delamination. Expect some heating season separations between the edges of each plank. Once it has been determined (by the test results) that the conditions are suitable for the installation of flooring over a radiant heated subfloor, then, and only then can the installation proceed forward. It is recommended to have three thermostats: one to control the tubing water supply temperature, one to control the room temperature with different zone controls and one for outside the house. This three-thermostat system is kindest to wood flooring because it moderates the floor temperature. People tend to crank up the heat inside the structure which could shock your floor resulting in cracking, splitting, wear-layer delamination, shrinking, gapping, cupping, buckling etc. Subtle changes to the setting 2 to 3 degrees up or down in a 24-hour period is recommended, otherwise you may experience the conditions mentioned above. The essential requirement in proper application of wood flooring over radiant heated systems is to avoid penetration of the heating element. Radiant heated subfloor systems can be concrete, wood or a combination of the two. The type of subfloor determines subfloor preparation. If the subfloor is concrete and it has cured, turn the heat on, regardless of season, and leave it on for at least 5-6 days to drive out residual moisture before installation of the wood flooring. Some installation systems, particularly glue-down applications, require the heat to be reduced or even turned off before installation of the flooring begins, so the adhesive does not cure prematurely and/or excessively.